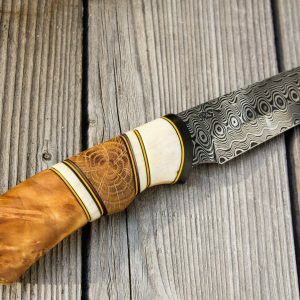 I just finished few knives this summer. 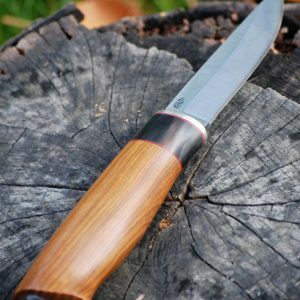 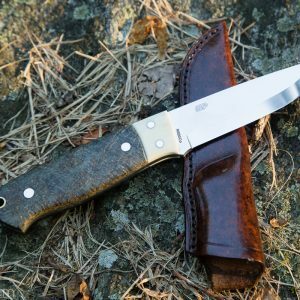 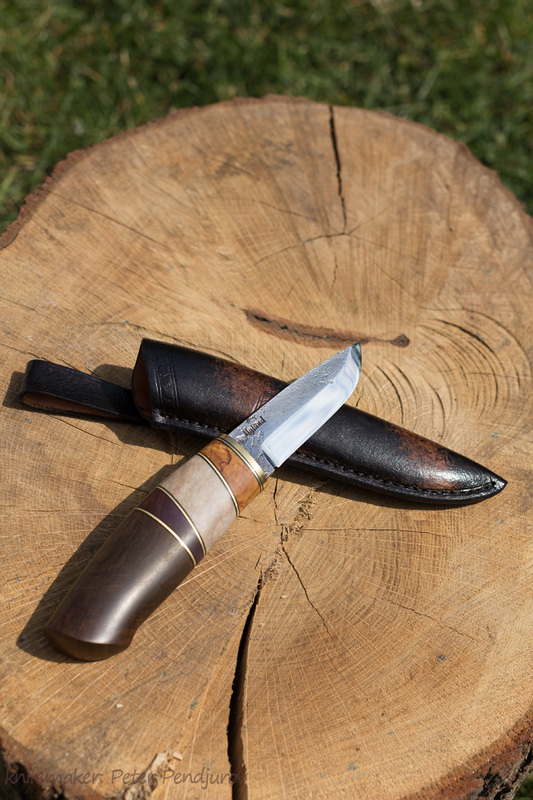 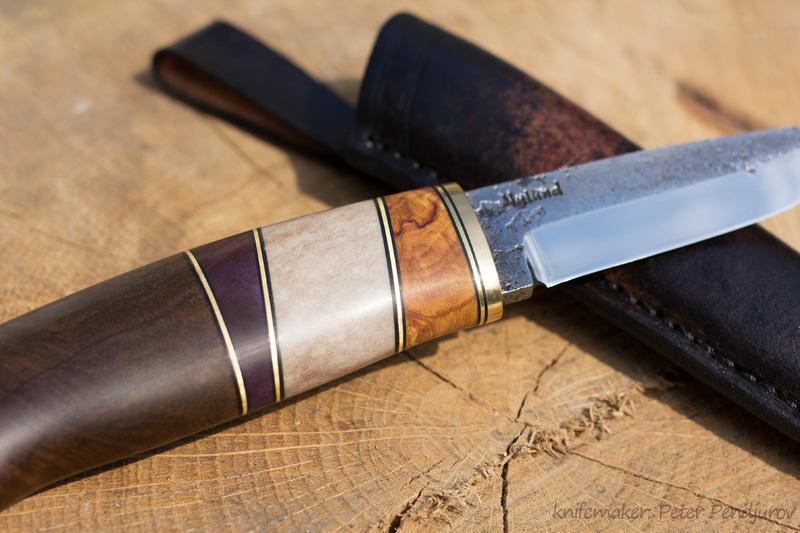 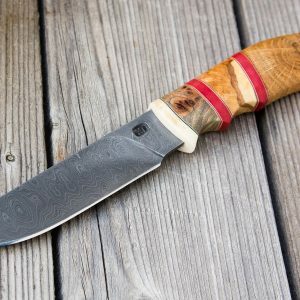 Few of them are again made with blades from the Nylund brothers. 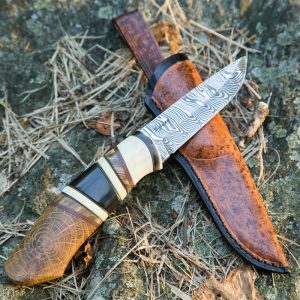 I wanted to accentuate the nice patterns on the carbon blade on this one, using more contrasty elements like white moose antler and dark and purple trees. 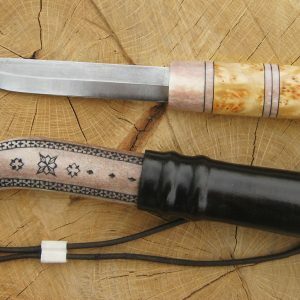 I also painted the sheath in similar patterns as the blade itself. 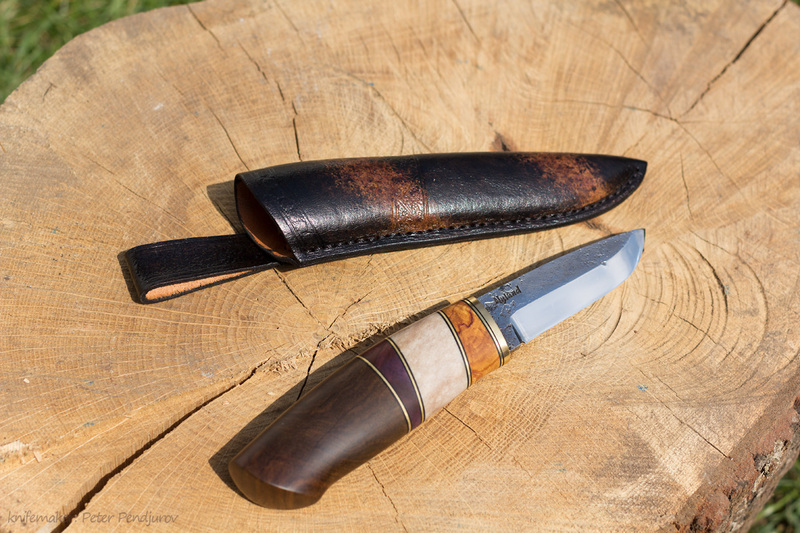 It is an 85 mm carbon blade and the whole knife is 200 mm long (210 mm with the sheath).